Behind the Mic–Guest Michael Wrona – Welcome to the 2019 Beemie Awards! 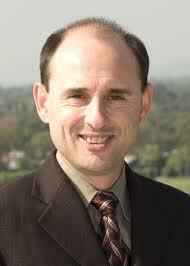 Our guest today is the great Michael Wrona, the voice of Golden Gate Fields in the Bay Area of California. Michael is in one word…awesome. One of the most original and accurate callers in the US, he is always a treat for fans to listen to day in and day out. He’s been the racecaller at Arlington Park, Bay Meadows, Hollywood Park, Lone Star Park, Turf Paradise and others before setting down in Northern California. Very excited to have him on the blog! RACINGGGGG! How were you introduced to horse racing? MW: Some friends introduced me to racing just after I started high school. I became a fan by listening to race calls on the radio, which were broadcast live from tracks around Australia. At some point, my grandfather gave me a horse racing board game, from which I derived the most enjoyment by abandoning the rules and calling out the plastic horses’ names as I moved them around the track to the roll of the dice. Horse racing is much more easily accessible in Australia than the United States. I would revel in the free, detailed form guide in the newspaper, conducting weekly handicapping discussions over the phone with a friend under the aliases of prominent racing figures (I would always “be” Johnny Tapp, who had quickly become my favorite caller). The form guide also listed the jockeys’ silks, which inspired me to begin drawing the colors of horses of that era on small pieces of paper, which I would push across my bedroom floor while calling into a tape recorder. All of this happened before I ever attended a race day. Most of us remember our first race call, tell us about your first try behind the mic? My first call over a Public Address system was in April, 1983, at a small track near Brisbane named Kilcoy. I was 17. It actually went so well that I was offered a second race to call that day. My first full day on the P.A. came two months later, and required traveling (in a 3-seat plane for part of the journey) to a cattle ranch in the Outback. Named Brunette Downs, it was literally in the middle of the continent and staged two days of racing annually, drawing participants from “neighboring” ranches hundreds of miles away. I could write a chapter about the occasion; suffice to say I apparently performed adequately enough to be invited back the following year. What was it that led you to move to the US to call races? MW: The catalyst for my move to the U.S. was Trevor Denman’s popularity at Santa Anita, and the inability of Marje Everett to procure his services at Hollywood Park. Hollywood had been through a quick succession of announcers in the late-1980s, and in 1990 Marje decided to launch an international search. This led her to offer the position to the leading race caller in Sydney, John Tapp. When John agreed only to come for a working vacation with his family, Marje asked if he could recommend someone (younger, with fewer commitments holding him in Australia) to accompany him on the trip. Out of the blue, I received a phone call from the race caller who had fired my imagination more than any other – my idol, whom I didn’t even know was really aware of me – and within about six weeks I was bound for California on a jumbo jet with him and his family. You’ve had to move quite a bit over the years to pursue this career. Is the moving something you like or just tolerate? MW: I’ve moved around more than almost any announcer in history, largely due to circumstances beyond my control. Constantly moving in and out of short-term living arrangements leaves one feeling ungrounded. This problem was accentuated by being married to someone who was also pursuing a geographically specific career (musical theater, which, at one point, had her in five Manhattan sublets in three years, while I was back and forth between my own seasonal race calling engagements). Throw a few storage units into the mix, and it begins to border on debilitating. You’ve called some historical moments in racing history, what’s the most nervous you’ve ever been before a race? MW: Probably the 1990 Hollywood Gold Cup. I was 24, had barely been in the country a couple of months, and was thrown into the cauldron of a Grade One event pitting the reining Horse of the Year against a future Horse of the Year. At the start, I fumbled and stumbled through a few names before aborting and going back to the leader. Then, just as I was feeling more comfortable, Sunday Silence and Criminal Type took off together at the 3/8-pole and it was unrelenting thereafter. They might have been exhausted at the finish, but I was a spent force too! My voice cracked just after the finish line but I was relieved to have correctly called the photo, as there was enormous pressure at the time concerning whether I should have even been allowed to nominate a winner in finishes that were closer than a neck. EDITORS NOTE: couldn’t find the 1990 Hollywood Gold Cup, but here’s Michael calling Best Pal in the Hollywood Futurity! You were one of five announcers who called a week at Churchill Downs in the 2008 fall meeting. What was that week like for you? MW: It was an honor and, for a time, exciting. Unfortunately it deteriorated into a nightmare, as I began to lose my voice, missing a meet-and-greet event with some fans and ultimately not being able to finish the final day. You get to watch Russell Baze on a near daily basis. What do you think it is that makes him so good as a rider? MW: Russell’s work ethic continues to impress and amaze. At 55, he remains incredibly committed. Within a race, his strength and determination often won’t allow a horse not to win. In that sense, he reminds me of Pincay – ironically, given that it’s the great Laffit from whom Russell wrested the record. I might add that both men happen to be extremely classy and humble. In 2014 you have a “call any race you want card”, for which race would you cash it in? MW: Across the 1990s, the Met Mile was my favorite American race but, these days, I have no clear pecking order. One of the problems with U.S. racing is that the best horses spend most of their careers avoiding each other, and not even the Breeders’ Cup can entice them all. MW: The track is surrounded by an embarrassment of riches when it comes to microbrewed beer (of which I’m rather fond). There is no particular standout – the destination is often dictated by seasonal brews. I also enjoy wine, but have no favorite place. Sorry to be noncommittal, but we’d just have to see where the wind (often quite gusty on the Golden Gate Fields roof) blows us!